Catherine Constance: Squiggles and carrots. . . If you are a regular here, you will know that strange and wonderful creatures pop up in my journals nearly everyday. This week has been no exception. This quintet popped up on Wednesday. They told me they were on the lookout for squiggles. Um, ok. what sort of squiggles I asked. Thin, fat, straight, wiggly? I thought that maybe they wanted me to draw them some squiggly lines. They told me not to be so silly, not squiggly lines... SQUIGGELS!!!!!! 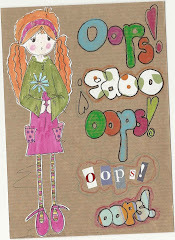 ooooook I muttered and went and made a lovely cup of violet tea...and pondered on silly birds and squiggles. I finished my tea and went back to work. Blow me down, a whole flock had taken up residence in my art bunker and they were all muttering..."keep watch for those thieving furry nut snatchers, keep watch for those thieving furry nut snatchers..."
You can imagine the din they were making. They were driving me mad. She started to smile. You've got a lithp. No, I don't have a lithp, lisp. You said squiggles instead of squirrels. SQUIRRELS!!!!!!! that's what they are looking out for. Jolly good, we are all on high alert for squirrels... oh and nasty icky cooked carrots. 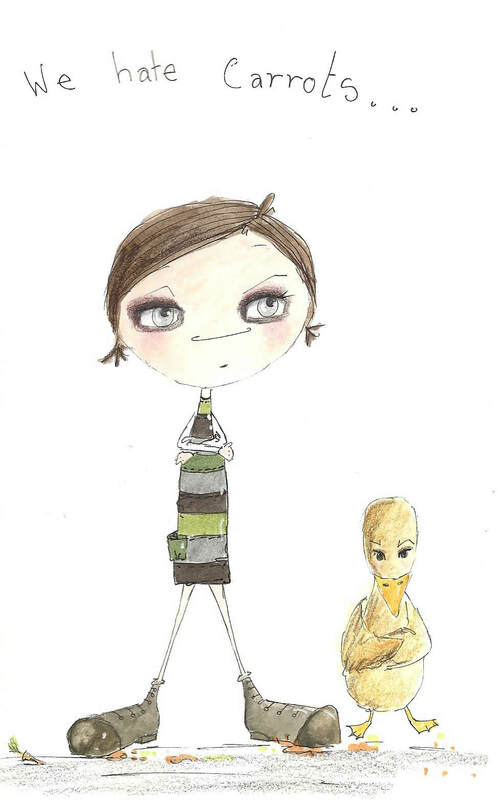 My favorites this week are your little birds and the last drawing with the duckling. The squiggle patterns are fantastic, and the expressions in the last one are priceless. Blessings! Your birds are so cute! Your whole post brought a smile to my face. Wonderful! Wow! So adorable and well illustrated! Your header is ADORABLE! I love it!!!! Sitting on a cloud, I want to do that! 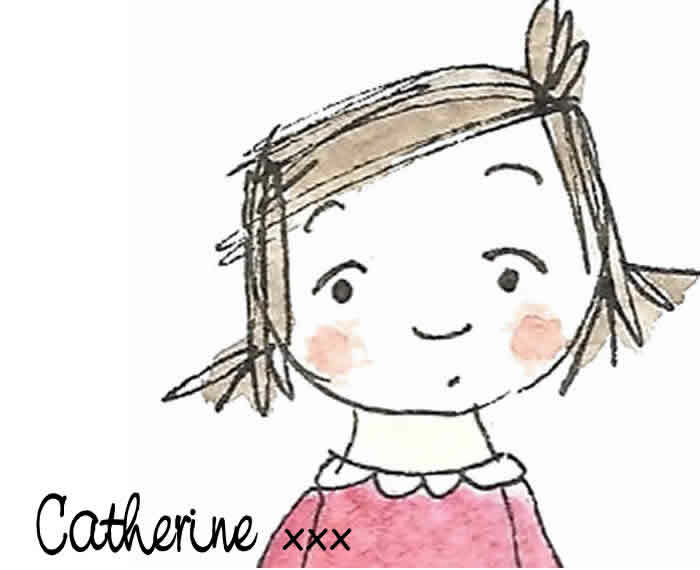 cute sketches and lovely illustrated story! 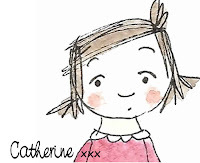 Wowness Catherine you are positively brilliant..what a super enchanting array of gorgeous artwork! And love your wonderfully written storytelling!! beautiful..charming and magical! 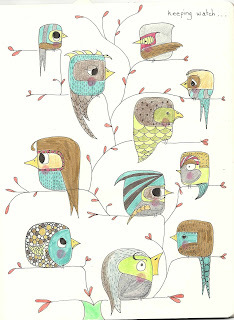 Amanda, I adore your birds. 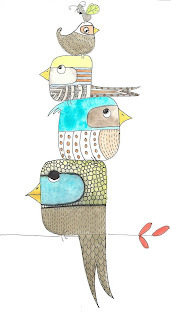 I am a huge fan of birds in my own art and discovering how other artists are inspired by and portray them! Your srae so full of personality! And your writing is great, I so admire that! Thanks for sharing this wonderful worl dof yours with us! And violet tea sounds liek soemthing I MUST investigate! Never had it! I am currently a lavender tea addict, but Violet sounds amazing and very inspirationl judging by your work! 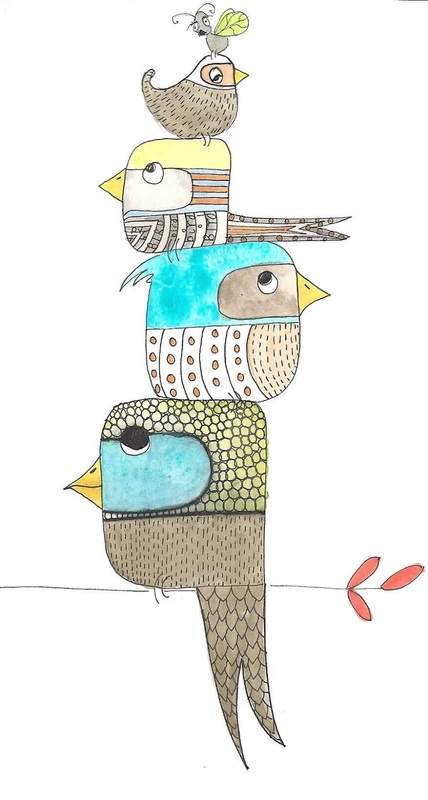 love the birds towering over each other, so cute! Oh my god! It is so much fun reading your post and looking at these adorable paintings! you made me so happy! thank you! Your birds are quite cute, but your girls are absolutely adorable! I want to hug them! Happy Sunday Sketching! I tuoi uccellini sono deliziosi! i'm loving the fun and nonsense on your blog today, along with the adorable birds and cute girls! I love your whimsical sketches. 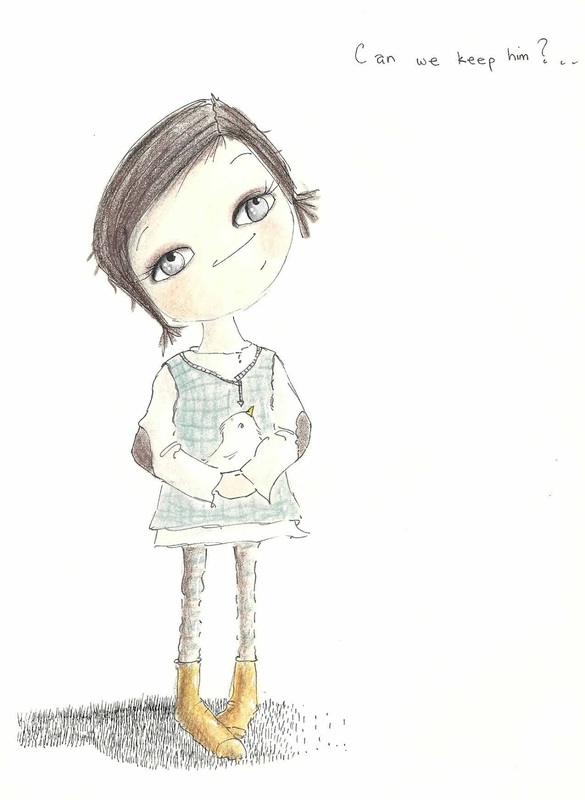 Love the birds and the little girls. 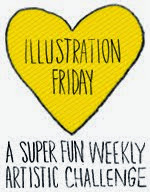 What a great talent to capture this joy and fun in your drawings! Catherine, these bird creatures are so cute. LOL! I love the squiggles or birds - both on the branches or piled on each other - such characters indeed! 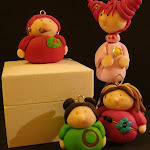 On the tree - it reminds me of a family tree - you could almost add on a family name to each! All this week's creation are adorable! How cute! LOVE It...Squiggles, Squirrels and all! oh your work is so wonderful Catherine!!! I love these pieces and that red piece at the bottom of your blog!!! Adore!!!! I ADORE the style of your birds. They are so unique. Love them Great Job!!! Ok, stop. Its too much. I'm overloaded on whimsical cuteness! Is any of this availabe at your store?